I wanted to surprise my mom and dad with a quick and easy, tantalizing dinner that fit all of the criteria above. I came across a very easy recipe from a fabulous resource from BuzzFeed Food titled “21 Five Ingredient Crock Pot Recipes.” In it, I came across number 5. 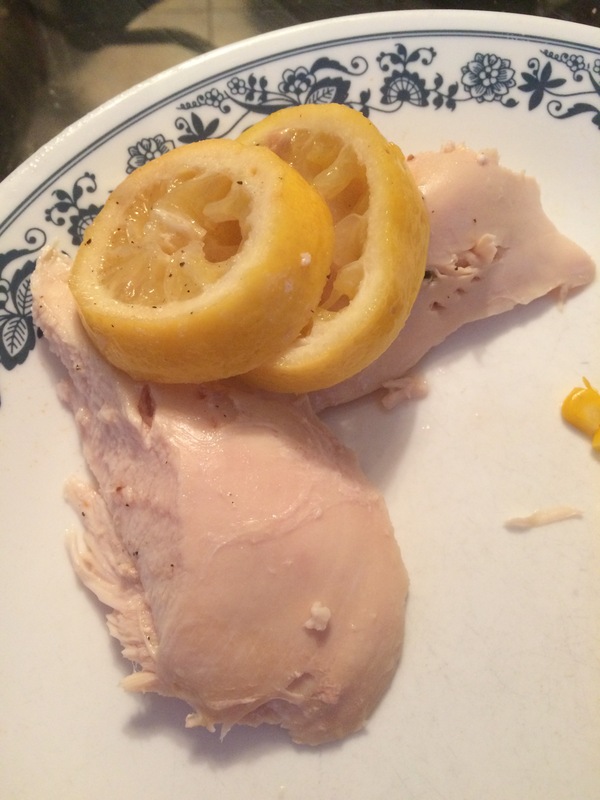 Slow Cooker Lemon Garlic Chicken. The recipe link is here, courtesy of blogger No. 2 Pencil. 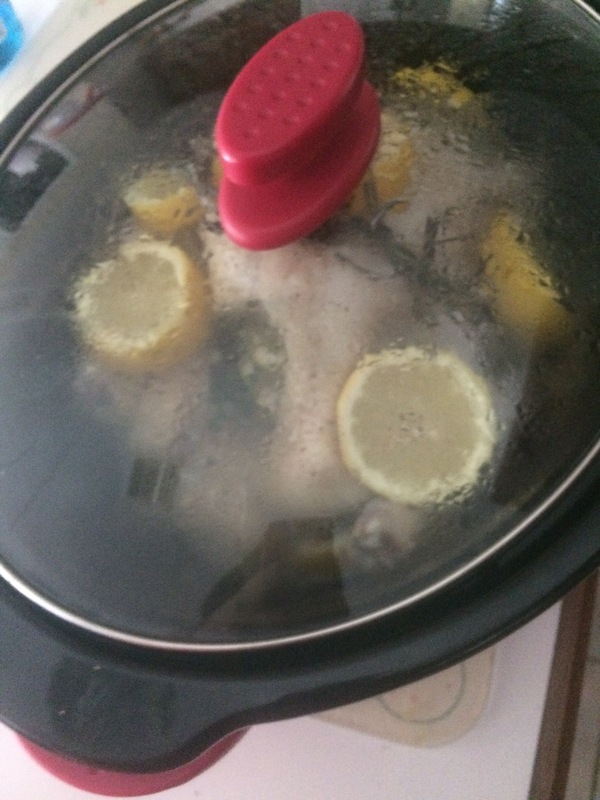 4 hours on high in my crockpot later…. Ta Da! The meat was very juicy and tender, and packed to the punch with the lemon and herb flavors. 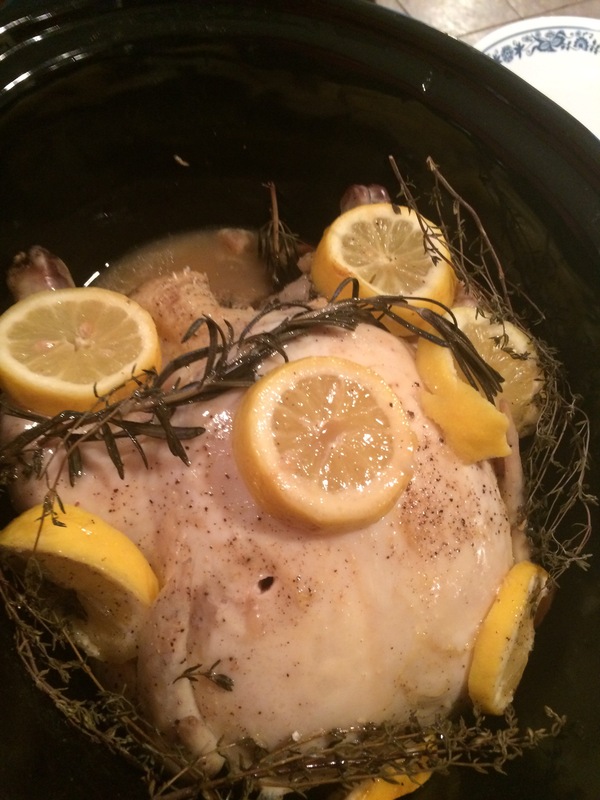 The broth developed from the chicken juices and the lemon/garlic/herbs was delicious poured on top too. But the real verdict was from my parents. My mom thought it was tasty. My dad really liked it and said it was “simple”, yet good. A quick and easy dinner you can make in 4-5 hours, and hey, it’s healthy too! Definitely something under the Mediterranean Diet, I would say.